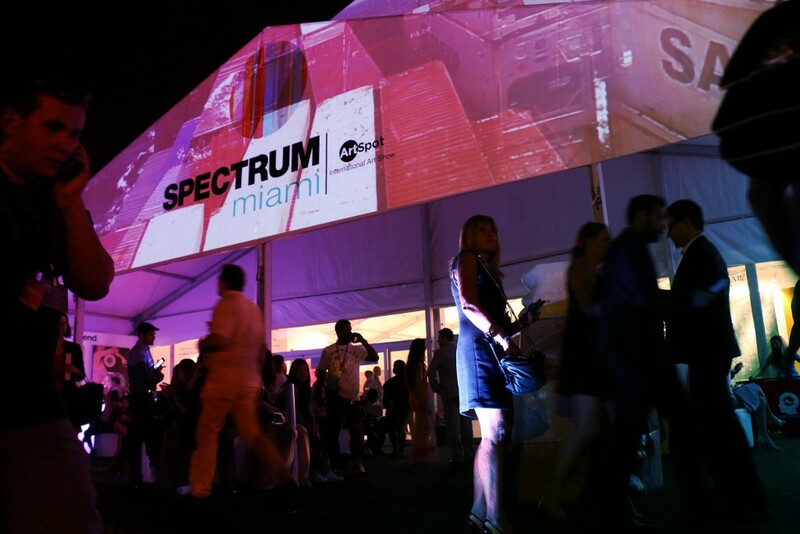 Spectrum Miami is off to a sizzling start! With a packed Opening Night Preview Party and busy first day, Spectrum—now in its 5th year and in an exciting new location—garnered throngs of eager attendees and delivered extraordinary artwork for all to enjoy. Here’s a look at some of the highlights. Art Labs’ Light the Night installation illuminates the Spectrum Miami tent. Attendees enjoy cocktails and a first look at the art at Wednesday’s VIP Opening Night Preview Party. Several exhibitors scored big, making priceless contacts while closing sales. Renowned tape artist and 2015 Spotlight Artist Max Zorn of Stick Together sold multiple pieces, and spectators enjoyed his Meet the Artist live demos (which will continue throughout the weekend) in Booth 713. Other successful exhibitors included Conde Contemporary (Booth 110) and Contemporary Art Projects USA’s Help Hope Nepal Mural (Booth 315), which featured artwork from over 400 artists around the world to benefit women and children affected by the April 2015 Nepal earthquake. Attendees take in the artwork at Spectrum Miami. Another hit was Wednesday night’s invite-only fashion show, “Art Loves Fashion,” hosted by Planet Fashion TV. Featuring a Burberry show, a presentation from Art Hearts Fashion, and plenty of bumpin’ music and drinks, this was an event not to miss. Planet Fashion TV’s fashion show on opening night. 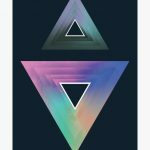 Spectrum Miami is in full swing, now through Sunday! Make sure to keep up with the latest news on Facebook and Twitter. Here’s our full show schedule so you can see what to look forward to. We can’t wait to see you at the show!